We have just received this photo from our lovely customer Emmanuelle. 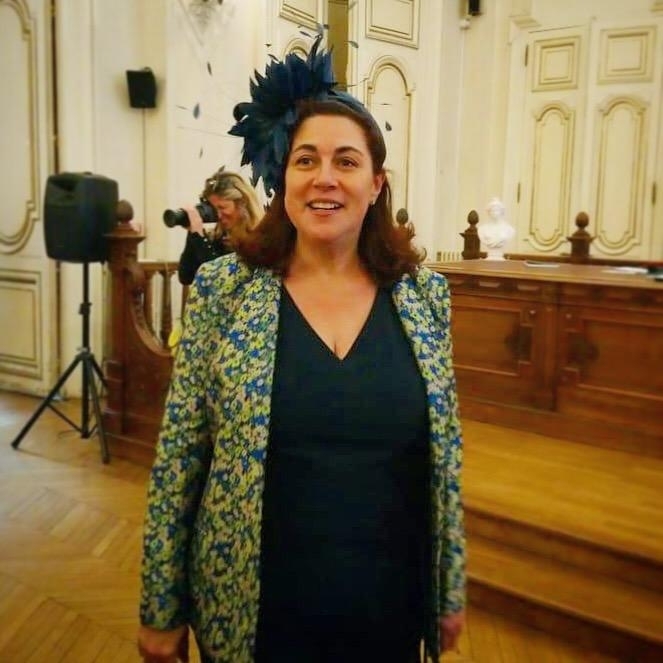 She is wearing this striking headpiece at a recent wedding in France. She looked stunning and received lots of compliments. Call Ellie om 01621 743262 for an appointment.